If you are fan of the instant play casino games and want to make money fast, then you should give Bonus Bingo a try. The casino game of chance is very easy to understand and play. You can bet as low as 0.5 per card and play up to four cards in one gaming session. As the name of the game suggests, there is a bonus multiplier that doubles your wins. In Bonus Bingo, you compete for Bonus Balls. The game is fast, simple and easy to play. To play it for real money, make a deposit at an online casino that offers the game and use the money to place a bet. You can play four games at a time if you want. The biggest surprise of the game is when you trigger the mystery bonus multiplier. The bingo card that reveals it automatically gets at least twice the regular win amount. Bonus Bingo by RealTime Gaming software provider is a revamped version of traditional bingo that gives big win amounts, bonus multipliers and comes with Bonus Balls that act as prize multipliers. The game can be played at online casinos powered by RealTime Gaming. Two popular and reputable Internet casinos that use RTG software are Classy Coin Casino and Lucky Red Casino. Both casinos welcome players from all over the world, including players from the United States. 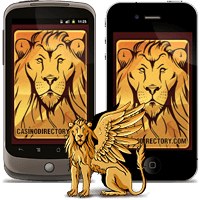 Classy Coin Casino was launched a few years ago and it is licensed in Curacao. The casino has impressive bonus program and offers plenty RTG online casino games in both instant play and download options. The casino protects the personal and financial data of players and offers a couple of premium deposit and withdrawal methods. Lucky Red Casino was established in 2004 and has an online casino gambling license from the Government of Curacao. The casino is run by the well-respected Club World Casinos. Lucky Red Casino offers more than 120 casino games that are proven fair and random by TST and it guarantees safe and fair online casino experience. Casino fans can also claim nice bonuses that are bankroll boasting. RealTime Gaming is an online casino software provider that powers many casinos on the Internet. The biggest traits of the software developer are its Real Series slots and the fact that it allows US players to play its games. RTG creates unique games with special features and superb graphics and the games are available for both instant play and download. In particular, the random progressive jackpots it offers are amazing and life-changing.